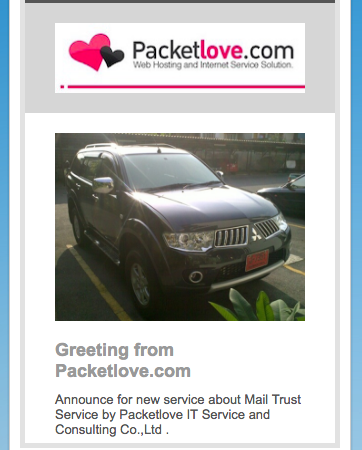 ##รายละเอียดของบริการนี้จากทาง Packetlove IT Service and Consulting Co.,Ltd. 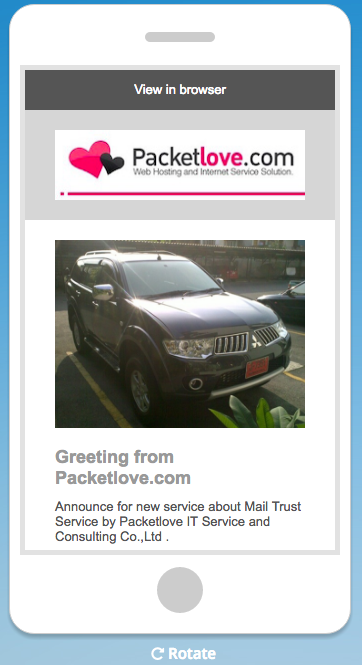 Package B : Send Email 50,000 Message /Month. Price 9,500 บาท Baht/Month /No Quota Limit in 1 Hour . Package C :Send Email 120,000Message /Month. Price 17,500 บาท Baht/Month /No Quota Limit in 1 Hour . 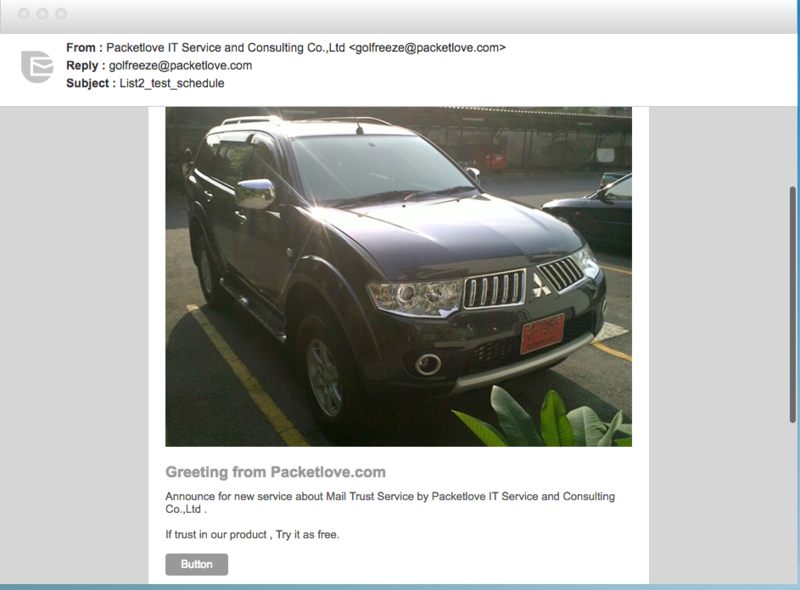 * If your would like to send email more than 40 Messages / 1 hour , Need to buy extra quota package .